Looks like someone’s In Love With A Church Girl. 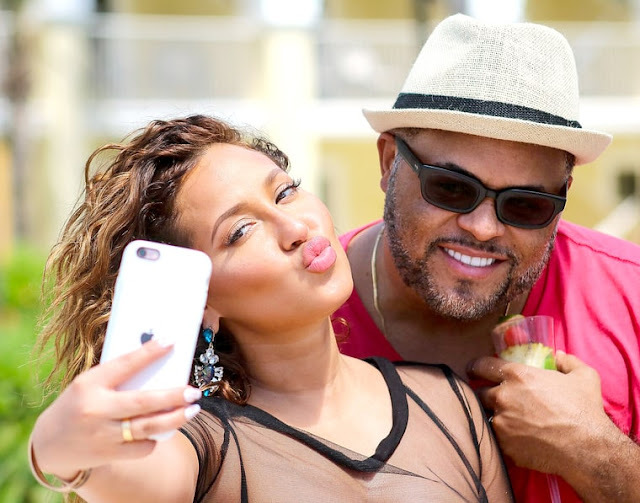 Gospel recording artist Israel Houghton, who divorced his wife of 20 years last month, is now dating Robert Kardashian’s ex and the Real host Adrienne Bailon. The former Cheetah girl and the “Your Latter Will be Greater” singer were spotted enjoying a vacation in Tulum, Mexico recently. The saints aren’t pleased. Although Houghton, 44, took to Facebook to defend his relationship with 32- year-old Bailon Radar Online reports that he has taken a “personal sabbatical” as worship leader at Joel Osteen’s Lakewood Church.